Meritt Infras Happy Town offers spacious Residential Plots, so that you can construct your house in Coimbatore the way you like. These legally approved Plots are brought to us by renowned builder Meritt Infra Private Limited. 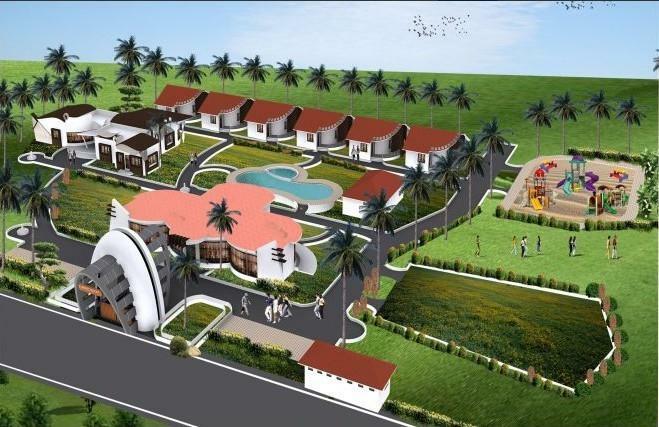 These Plots at Saibaba Colony in Coimbatore is a kind of investment which you will cherish forever. Meritt Infras Happy Town is spread over 67.40 acres with a provision for many hi-end utilities such as Landscaped Garden, Swimming Pool, Gymnasium, Play Area, Intercom, Rain Water Harvesting, Club House, Tennis Court, 24Hr Backup Electricity, Business Center, Street Light and Security. According to the real estate market trends, Saibaba Colony is one of the best sites for buying a house in Coimbatore. The Residential Plots for sale offered in Meritt Infras Happy Town is all set to make sure the best living experience ever. Meritt Infras Happy Town is well connected to other parts of the city with wide roads. It is very easy to commute from Meritt Infras Happy Town due to its strategic location. Meritt Infra Private Limited is a top name in real estate market in None. The team is locally regarded None builder for value for money projects and prompt delivery of budget buildings. Focused builder with a significant local brand. It has already delivered 1 projects across residential and institutional buildings and is working on around 2 projects. Review of Meritt Infras Happy Town, Saibaba Colony? Its price, location, builder etc. Review of Meritt Infra Private Limited, Saibaba Colony? construction quality, trustworthy, delivery history etc.? Review of Meritt Infras Happy Town, Saibaba Colony location? neighbourhood, connectivity, schools etc.? Comparison of Meritt Infras Happy Town, Saibaba Colony to nearby projects? Is it rightly priced? What is your feedback on this Meritt Infras Happy Town, Saibaba Colony? Depends on brand name and complete the project in time etc? Will this be a better option for investment or to live in Meritt Infras Happy Town, Saibaba Colony? Can you give some suggestion? Is the Meritt Infras Happy Town, Saibaba Colony has more potential in terms of capital appreciation, ROI, Rentals, Proximity to social infrastructure etc?